I just finished reading a fascinating Harvard Business Review blog post entitled “Stop Competing to Be the Best.” Whether your business is computers, airport terminals, or tea shops, Joan Magretta has a pertinent message for you: being “the best” is a bad thing. I remember when I bought my iPad, and I listened to people telling me why I had made a horrible mistake. “It doesn’t show Flash websites.” I don’t use any Flash-based websites. “It doesn’t have a real word processor.” I don’t use it for word processing. “It has no camera.” I use my phone as a camera. “It doesn’t run Windows.” Well, thank God for that! The point is that everyone uses their tablets differently. While the iPad is perfect for me, it may be a horrible choice for you. The same is true of tea shops. When we opened our tea bar, we asked ourselves a lot of hard questions. One of them was what to call the business. 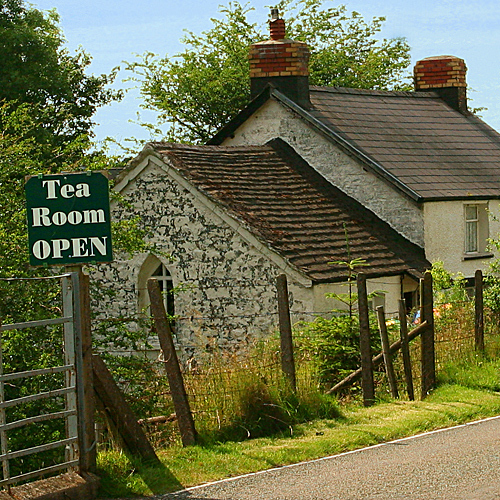 The term “tea room” conjures up images of fine china, Earl Grey tea, crumpets with clotted cream, and lace doilies. Definitely not our market. A “tea shop” is frequently either focused on Chinese or Japanese tea, with beautiful oriental teacups and a great selection of green and white teas. The nearest tea house to us is run by an herbalist, who has a deep selection of herbs; she must have 200 drinks that don’t contain Camellia sinensis (the tea plant) at all. Do we want to compete with them to be the best tea shoppe/tea bar/tea room in the area? Not at all. Success in the tea business, like success in any other business, depends upon defining the word “best” so that it applies to you. We serve our tea in glass mugs so you can see the tea. If you want a “to go” cup, we use compostable cups for both hot and iced tea. No fine china. No fancy teapots. We don’t consider Earl Grey to be any better or any worse than lapsang souchong (or Earl Grey lapsang souchong for that matter), white tea, green rooibos, or purple tea. They’re just different. We’re not tea Nazis. We’re also not herbalists. I don’t select our teas based on whether they’re supposedly good for menstrual cramps or helping you go to sleep — most of that is pseudoscience and marketing hype anyway. I choose them based on how they taste. People don’t walk into our tea bar looking for a couple ounces of something to help with their digestion; they walk in looking for a tasty genmaicha or pu-erh. That, we can help with. I remember taking a marketing class that used Sun Tzu’s Art of War as its text. It’s amazing how much an ancient Chinese treatise on war applies to modern-day marketing and business strategy. One of the clear lessons is that you should never meet the enemy on its own turf unless you have an overwhelming advantage. If you wish to succeed in the tea business, then create your own business model. Don’t pick someone else’s and try to beat them at it. If you define the word “best” so that it applies to you, then you win the game from the day you open your doors. I don’t know if Joan Magretta studied Sun Tzu, but they’re preaching the same message. Learn from it. Posted on 30 November 2011, in Tea Biz and tagged competition, Harvard Business Review, herbology, iPad, Joan Magretta, marketing, pseudoscience, Sun Tzu, tea bar, tea room, The Art of War. Bookmark the permalink. Leave a comment.